Xolo has launched new Android Smartphone dubbed as 8X-1000 with its new HIVE UI. The device will goes on sale from next week with the price tag of INR 13999. Xolo also listed another 5-inch Smartphone, Xolo Play 8X-1200 on official website for Rs. 19999. The Xioami Mi3 will be the best competitor for the device has both of them comes has same price tag. The Xolo 8X-1000 sports a 5-inch HD IPS display with 1280 x 720 pixels screen resolutions and is powered with 1.4 GHz Octa Core MediaTek MT6592M processor coupled with Mali 450-MP4 GPU. The device runs with Android 4.4 KitKat out of the box and has dual SIM card support (GSM + GSM). The device has inbuilt storage of 16GB which can be further expandable with microSD card. The Xolo 8X-1000 features a 8 MP rear shooter camera with LED Flash, 1080p video recording, f/2.0 aperture and EXMOR R sensor and is accompanied with 2 MP front facing camera for video calling. The wireless connectivity of the device includes 3G, WiFi, Bluetooth, GPS and Micro-USB and coupled with 1920 mAh battery on the back to power the device. 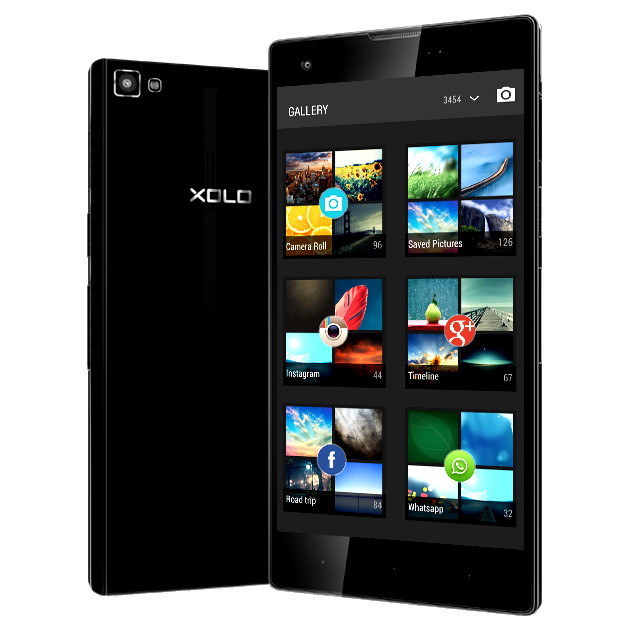 The Xolo 8X-1000 comes in Black color option with price tag of Rs. 13,999 and the device will be available for purchase in India starting from next week.